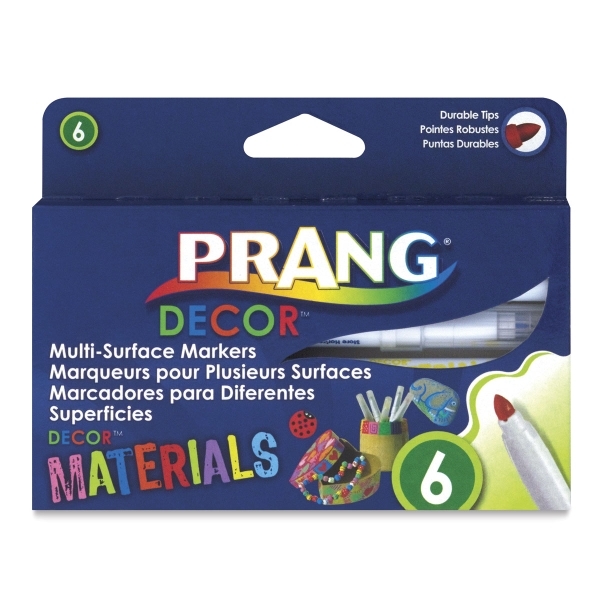 The durable medium point on Prang Décor Multi-Surface Markers is great for decorating cardboard, wood, glass, leather, plastic, stones, Prang DAS modeling clay, metal, and more. 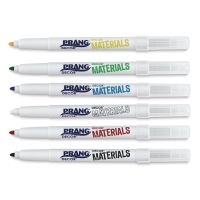 Includes a ventilated safety cap. Ink is opaque and waterbased. ® Prang is a registered trademark of Dixon Ticonderoga Company.™ Décor is a trademark.